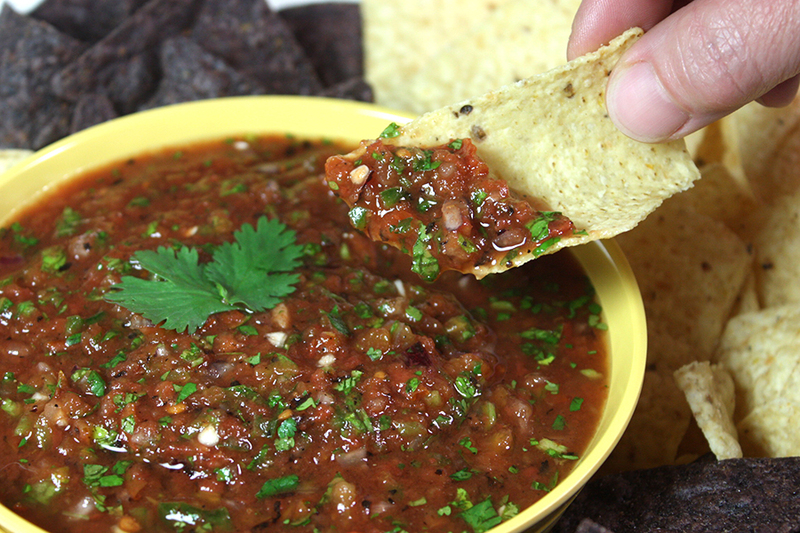 Fire roasted salsa is so easy to make at home, you will never buy another jar…ever! My family is so crazy about this restaurant style salsa I can’t seem to keep it stocked fast enough. 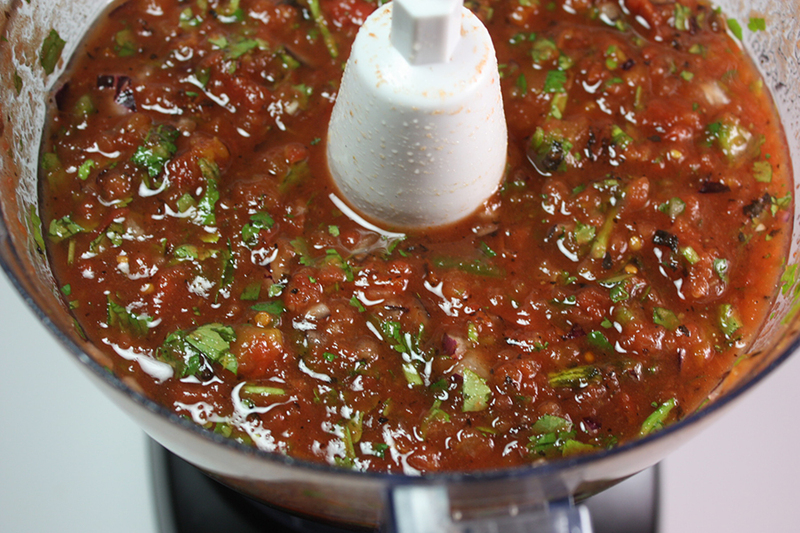 If you like restaurant style salsa you will love this recipe even more. 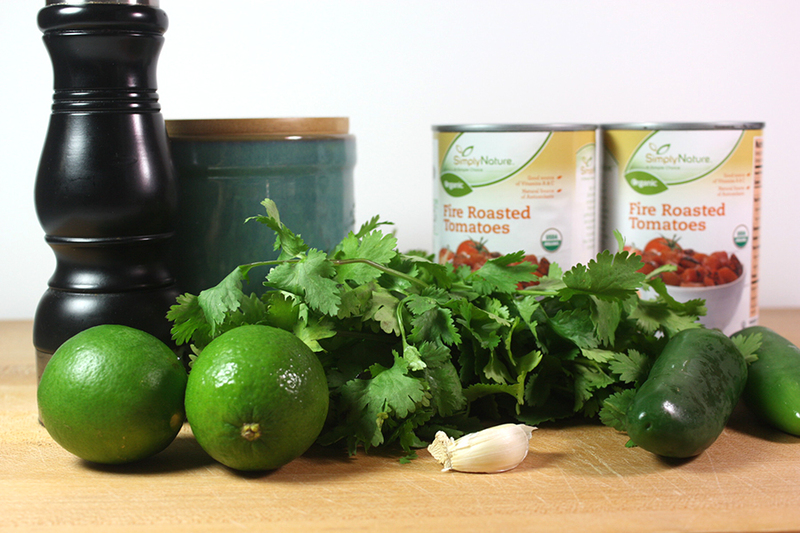 Spice up Taco Tuesday with this fresh-tasting homemade salsa! It literally takes no time at all to make this salsa. 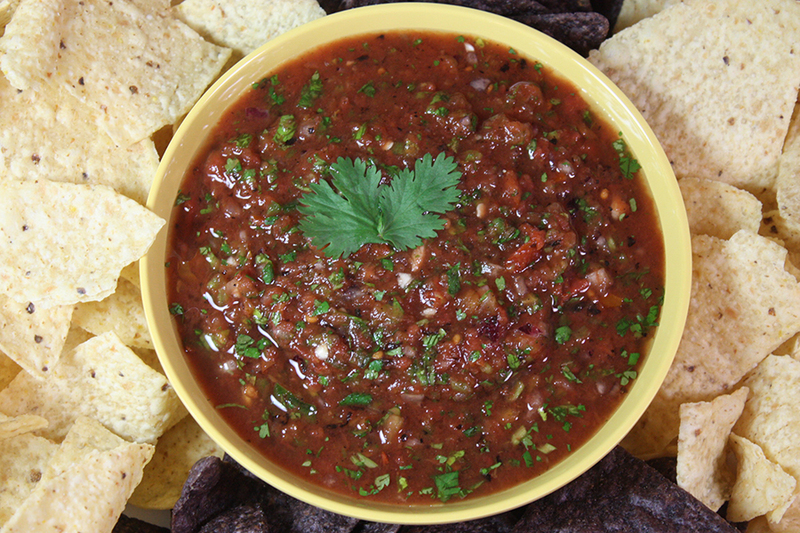 The fire roasted tomatoes add a perfect smokey flavor to this fresh-tasting salsa. 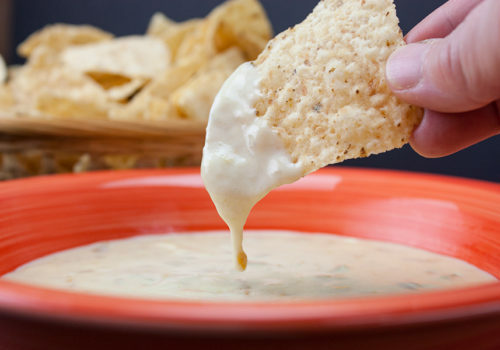 All you have to do is chop the onion, jalapeno, and garlic. Dump all the ingredients in the food processor or blender and give it a whirl or few. For the best flavor store in the refrigerator for an hour or two to allow the flavors to combine before serving. 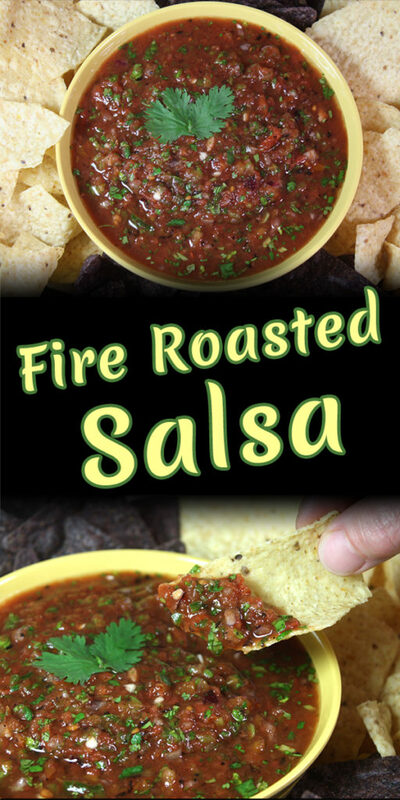 Fire Roasted Salsa - The most amazing restaurant style salsa can be made in your own kitchen! 5-minute prep, a few ingredients, and a food processor or blender. Add all ingredients to a blender or food processor and pulse until you reach desired consistency. For best flavor place the salsa in a jar or container and chill for 1-2 hours or longer. Store chilled in airtight container. If you like a spicier salsa, don't seed the jalapeno. I LOVE cilantro so I add a ton. Decrease the amount if you aren't as fond of cilantro as I am. 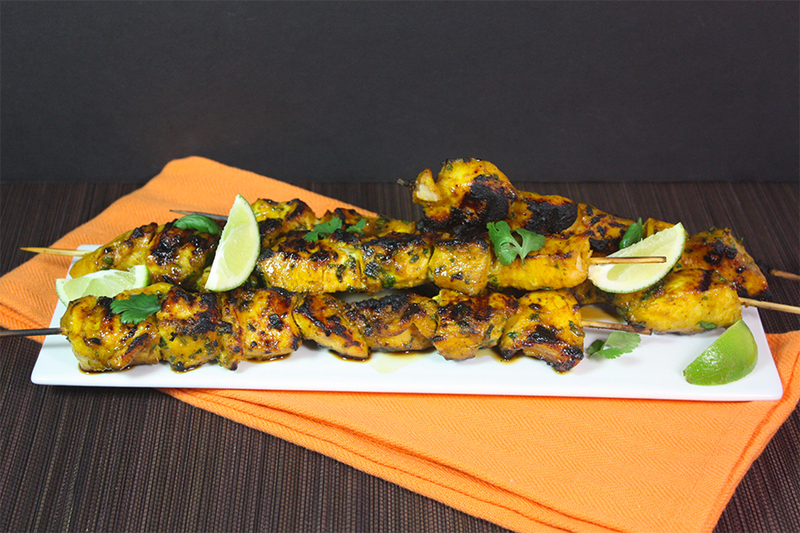 My mouth is watering for this recipe. I LOVE salsas, and this looks like such an easy and tasty one. Pinned, and can’t wait to try it! 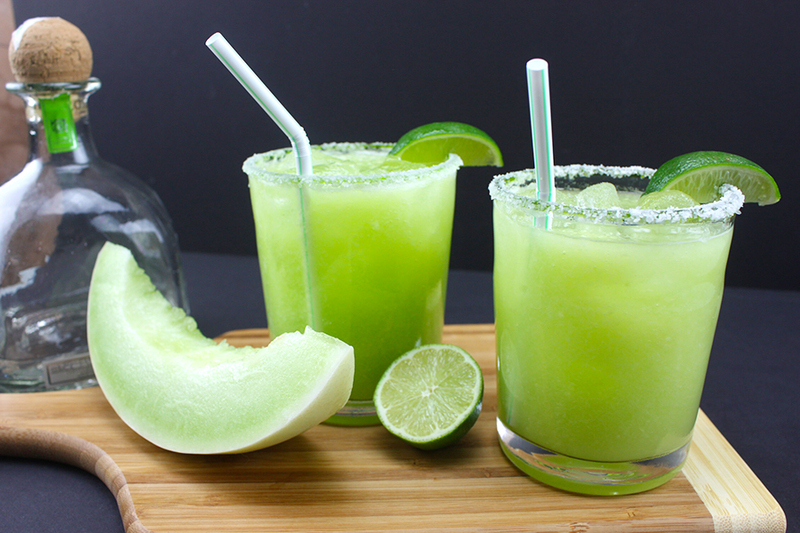 This looks so delicious and flavorful! I love that you add fire roasted tomatoes. Will be pinning and trying. 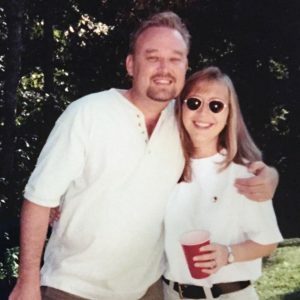 Thanks for sharing at Let’s Get Real Friday. 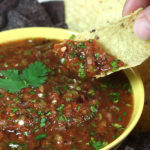 Wonderful salsa recipe and I love how easy it is! Pinned. Thank you for being a part of our Hearth and Soul Hop. We love homemade salsa, we can’t keep it in the frig! I’ve never used the fire-roasted tomatoes, I’m definitely going to look for them at the store! I agree that canned tomatoes make the most flavorful salsa, I like the fresh for pico de gallo, but canned for salsa! I am going to try your recipe, it looks so delish! Thank you, Nikki! The fire roasted tomatoes give it that little extra smoky flavor…so good! I haven’t tried to make salsa since collage! I used to love homemade salsa, you’ve inspired me to make some soon! Go for it, April! 😉 Thank you! What a great recipe!! I am going to feature it tomorrow!! Thanks for sharing on My 2 Favorite things on Thursday!! Hope to see you again tomorrow!! Pinned! This sounds wonderful! Will definitely give this a try. Pinned. Thanks for sharing on Merry Monday and hope you can come and share again. This salsa looks absolutely wonderful!! I have to try it this week. I get so tired of paying so much for a bottle of salsa and it lasts one day – at least for a family of five. I will pass on this recipe. Thanks for sharing. Rebekah, you guys will like this salsa soooo much better than the jarred! Thank you for stopping, by! Ohh man. I love a good salsa recipe! Part of what holds me back from making my own is dealing with the tomatoes so this looks like a great way to me to get past that!